Pumaspeed is Family owned and run, it was founded back in 1999, specializing solely with The Ford Puma compact coupe. While we still remain the first choice for Puma owners, Pumaspeed have expanded and branched out into all aspects of the latest Ford range with our ever expanding mail order department ready to despatch to any destination world wide. 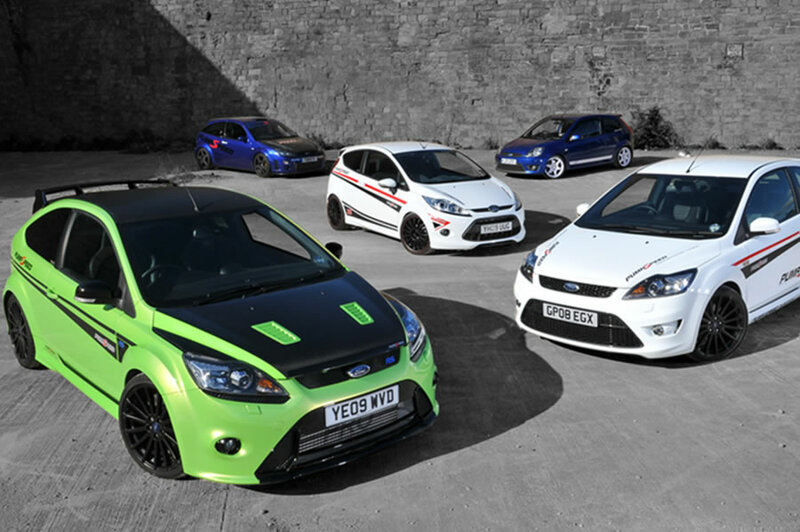 We take ford tuning seriously and to fully offer the best service and understanding for the Ford Enthusiast we think its important to actually own and run one of every Fast Ford available. All the staff at Pumaspeed pride themselves on offering a friendly, honest and personal service for you and your Fast Ford. From a full service in our Head Office Workshop to a full Focus ST power kit mailed out into Europe or the Rest of the World, there can be no-one easier to talk with. Please take a look through our constantly updated website. If you have any queries, please do not hesitate to contact us or pay us a visit to our HEad Office workshop located in Wakefield off junction 39 on the M1 Motorway. Pumaspeed are dedicated to the supply of parts, services and accessories to the ford vehicle owner, from the Fiesta, or Puma through Fiesta ST, Focus ST or a full performance spec 400 bhp focus RS. Tuning is our passion. From a Full Service, rear spoiler, new clutch or Milltek Sport Stainless Steel exhaust system we can supply you with performance upgrades from mild to wild. We also buy and sell used vehicles ,take a look at the forecourt section, this includes puma and racing puma, focus rs and some special project cars If the trade in price you've been offered is too low, then give us a call.